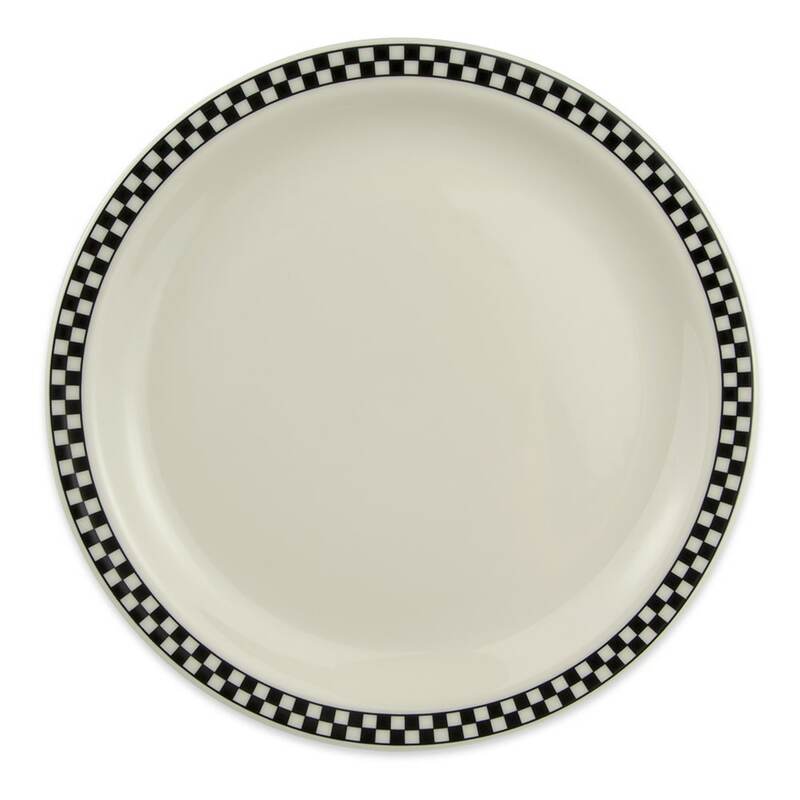 The Homer Laughlin 2171636 plate is made of china for durability in a commercial setting. The dish is made to be used heavily and resists scratches and chips. More food can fit on the dish since it has a small rim. With a 101⁄2 inch diameter, this plate is great for lunch or small dinner portions of your most popular menu items. 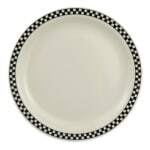 Creating a retro vibe is easy since the Homer Laughlin 2171636 plate has a black and ivory checkered pattern around the edge.